The Department of Fish and Wildlife (DFW) is a steward of California’s wildlife resources in a tri-furcated system that divides wildlife management between the Legislature, the Fish and Wildlife Commission (which theoretically sets policy) and the department, which implements it. In reality, the responsibilities are intertwined. Established within the Natural Resources Agency, the department manages and protects the state’s fish, wildlife and native habitats while overseeing their recreational, commercial, scientific and educational use. It was known as the Department of Fish and Game until a name change that took place January 1, 2013. The department also employs a law enforcement division of game wardens to prevent poaching and other illegal activities related to its functions. The roots of the Department of Fish and Wildlife stretch back to state legislation passed in the mid-1800s. An 1851 law protected the property rights of people planting oysters, and the next year the first game law was enacted to protect elk, antelope, deer, quail, and some ducks for 12 counties six months out of the year. Salmon runs also received some protection. The department’s forerunner, the Board of Fish Commissioners, was created in 1870 and is considered the nation’s first wildlife agency. It oversaw the use of fish ladders at state dams to allow for natural migration. The commission’s authority was extended to game animals eight years later. Although the first two game wardens were hired in 1871 for the San Francisco Bay and Lake Tahoe area, it wasn’t until 1883 that the Bureau of Patrol and Law Enforcement was added. Two years later, the state’s primary fish and game laws were established. A new Fish and Game Code was enacted by the Legislature in 1933 and in 1940, the code was amended to allow six-year staggered terms for each of the organization’s commissioners, whose appointments were made by the governor and confirmed by the Senate. Around the same time, the commission sought a more efficient way to manage the use of marine shell and anadromous fish, and formed the Pacific Marine Fisheries Commission in 1945. It was also given the authority to impose fishing and hunting regulations. When the Division of Fish and Game became a bona fide department in 1951, the foundational structure of the organization was overhauled to include five western regional offices and the bureaus of Game Conservation, Inland Fisheries, Patrol and Marine Research each became full branches. The department’s first director was Seth Gordon, for whom the national Association of Fish & Wildlife Agencies would name its most prestigious award. The federal Fish and Wildlife Coordination Act in 1958 led to expanded department activities by requiring full consideration of fish and wildlife in joint state and federal projects. As a result, the Water Projects Branch was created the next year to manage the impact water quality and land and water development was having on wildlife resources. In 1961, the Department of Fish and Game became a component of the new State Resources Agency and became intimately involved in the Sacramento-San Joaquin Delta when the Davis-Dolwig Act declared that fish and wildlife resources were to be considered as part of the State Water Project’s delivery of its water south. The California Endangered Species Act of 1970 presaged a similar federal law by three years and required the department to inventory the state’s threatened fish and wildlife and develop criteria for rare and endangered species. The California Environmental Quality Act also called on the department to prepare environmental reports on its projects and programs, and the Water Projects Branch was renamed the Environmental Services Branch. It then began overseeing both land and water projects. The department’s Office of Oil Spill Prevention and Response opened in 1991, expanding its maritime responsibilities. Two years later, the 24-hour CAL-Tip hotline debuted. The agency was renamed the Department of Fish and Wildlife as of January 1, 2013. 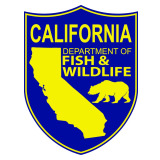 The Department of Fish and Wildlife (DFW) has broad responsibilities as administrator and enforcer of the California Fish and Game Code. It implements policies formulated by the Legislature and the Fish and Game Commission, as well as managing programs and setting its own policies on conservation, law enforcement, commercial fishing, recreational hunting and fishing, spill response and public lands in general. The department’s chief officer is a director appointed by the governor and confirmed by the state Senate. As of January 2012, the department owned or operated 745 properties—totaling 1.1 million acres—including 110 wildlife areas, 130 ecological reserves, 11 marine reserves, 276 undesignated lands, 158 public access areas, 20 fish hatcheries and 40 miscellaneous lands. The department’s recreational pursuits include facilitating hunting, fishing (commercial and sport) and other public uses of natural resources as part of a vast land management program. It issues and enforces regulations for hunting waterfowl, upland game birds and mammals (bighorn sheep, pronghorn antelope, elk, bear, wild pig, etc) as well as sport fishing in the ocean and freshwater. The department issues alerts and publishes hunting guides and instructions on where to hunt. The License and Revenue Branch handles hunting and fishing licenses, permits and passes. It also informs the public of various rules and regulations applicable to each sport and its respective hunting season. It is responsible for more than 150 different types of licenses and permits issued through approximately 2,000 retail license agents. The department’s extensive resource management programs include activities, through its Climate Science and Renewable Energy Branch, to minimize the effect of renewable energy development and climate change on the state’s wildlife, fish and habitats. It helps battle invasive species that threaten the diversity and abundance of existing plants and animals, and administers ecological reserves, wildlife areas and hatcheries. The department participates in environmental reviews and permitting under authority granted through the California Endangered Species Act and the California Environmental Quality Act. The Fish and Game Code requires anyone substantially altering a river, stream or lake to contact the department for guidance on preparation of alteration plans. As part of its biodiversity conservation responsibilities, the DFG is the lead agency in the Ecosystem Restoration Program, aimed at restoring the Sacramento-San Joaquin Bay-Delta ecosystem. It partners with local, state and federal stakeholders to conserve diversity of ecosystems in large reserve systems. The department, through its Office of Spill Prevention and Response, is also the lead agency in prevention and cleanup of oil spills and spills of other hazardous materials on land and water. The state Legislature established the DFG’s Water Pollution Control Laboratory in 1967 to provide services for the department and other public agencies. The lab provides sampling and analytical support, and is capable of analyzing environmental contaminants in water, sediment and tissue. The department’s enforcement activities actually predate the department itself. The first two game wardens were hired in 1871, 12 years before the department’s forerunner, the Board of Fish Commissioners, was created. The Law Enforcement Division employs around 380 people but deploys fewer than 200 in the field as game wardens. Game wardens are empowered to warn, cite and arrest individuals suspected of violating Fish and Game laws. They may also seize the fish, game or equipment connected with an alleged violation. Wardens collect information on conditions in specific areas, supervise seasonal workers, participate in rescue operations, promote hunter education programs and represent the department at public gatherings. The Biogeographic Data Branch manages biological and geographic data for the department, its contractors and partner organizations. It analyzes, stores and shares information gathered on vegetation mapping, rare species and plants tracking, and species range mapping. The department provides news, press releases, updates and announcements to the public, and offers education and outreach for children and schools. Its Office of Legislative Affairs handles questions and issues surrounding the department’s legal matters and provides information about legislation (pending and existing) and the California Fish and Game Code. On the department’s organizational chart, both the Wildlife Conservation Board and the Fish and Game Commission report to the director. In actuality, the relationship is complicated and not that direct. The board acts as the property acquisition arm of the department, administering a capital outlay program for wildlife and habitat conservation, public access, open space and watershed protection. Acquired properties are managed by the department. The commission is responsible for formulating certain policies such as season lengths, bag limits and methods of take for game animals and sport fish that the department implements. Funding for Fish and Wildlife operations comes from approximately 48 different sources, including 27 dedicated accounts within the Fish and Game Preservation Fund. About 16% of the department’s money comes from tax dollars in the state General Fund and about 20% comes from hunting and fishing license fees. Other sources include: fees, fines or mitigation; voter-approved bond measures; the federal government; donations; endangered-species tax check-off; and environmental license plate sales. The department has limited discretion in how it spends its money, with much of its operating revenues (around $400 million) designated for specific programs in the state budget. By law, hunting and fishing revenues must be spent on hunting and sport fishing programs, including fish hatcheries and stocking, habitat restoration, wildlife management and education programs. Other environmental revenues are directed toward conservation planning, environmental review and permitting and water resource management. In general, about 55% of the department’s expenditures are evenly split between biodiversity conservation efforts and hunting/fishing public use. Most of the rest is spent on enforcement activities (18%), management of public lands (16%), spill prevention and response (8%) and education and outreach (1%). The Department of Fish and Wildlife has a web page devoted to the gray wolf, which seems odd to some because until December 2011 canis lupus had been absent from California since 1924. But on December 28, a lone gray wolf was spotted entering the state from Oregon and the department began tracking and publishing its every movement using GPS. OR7, as it was designated, is protected under the federal Endangered Species Act. Speculation was that it was scouting the area for possible repatriation, but biologists warned that it could return to Oregon where 24 wolves were believed to live. As Bonham hinted, not everyone is enthusiastic about the possible return of the wolves. Ranchers and hunters led efforts in the 1930s to eradicate the mythic hunters and it wasn’t until federal protection in the ‘80s that any serious efforts to repatriate them began. The disappearance of the wolves disrupted healthy ecosystems, according to environmentalists, but their return has provided a measure of restoration. For instance, elks vacated lowlands and streams to avoid the wolves, allowing willow, aspen and cottonwood to grow back, according to the U.S. Fish and Wildlife Service. That provided food for beavers, habitat for songbirds and shadier streams for fish. Intimidated coyotes left the area, giving safer haven to small rodents and providing a boon to hungry carnivores that fed upon them. After the federal government put them on the endangered list, 66 Canadian wolves were released in Yellowstone National Park and parts of Idaho in the mid-‘90s. As of 2010, that population was estimated to have grown to 1,651, shortly before Congress removed the endangered species protection in Montana. The wolf population in the Great Lakes area is estimated to be around 3,000, and they have also been de-listed. The wolves are controversial in Oregon where pack members killed 20 cows and calves over a two-year period. Oregon’s Department of Fish and Wildlife killed two wolves and were planning to hunt down more until conservationists filed a lawsuit. But scientists say that, Little Red Riding Hood notwithstanding, legends about the threat of wolves to humans are overstated, if not downright wrong. There are only two known incidents of wolf attacks in the past 100 years in the U.S. and Canada. Other lawsuits challenge the government’s delisting of the wolves from the endangered species list in various parts of the country. The Department of Fish and Wildlife has wrestled over the years with formulating a policy for dealing with public and private fish hatcheries. It produced and stocked over 42 million trout, steelhead, and salmon in lakes and streams at its 21 fish hatchery facilities in 2009. Sport and commercial fishing interests fear that regulations could curtail their activities. Environmentalists claim that the impact of stocking these hatcheries has a devastating effect on native fish, amphibians and other wildlife and the department. Scientists at the National Marine Fisheries Service maintain that hatchery stocking was an important factor in the collapse of salmon runs that led to a complete shutdown of commercial salmon fishing in California and Oregon for two years. Under the pressure of lawsuits, Fish and Game produced an Environmental Impact Report (EIR) in January 2010 to address these concerns. The Center for Biological Diversity, one of the organizations that had filed suit, found the EIR lacking. The headline in the San Francisco Chronicle read: Game Warden Shortage Nearing Critical Stage. And it was. Low pay, tough job and a few extraneous factors and the Department of Fish and Game found itself down to 310 game wardens in the field with 75 unfilled spots. Half the force was expected to retire in two years. That was in 2001. It got worse. There are less than 200 game wardens in the field to stop polluters, and protect fisheries, wildlife, fauna and citizens. And it’s a big field; the department actively patrols 160,000 square miles hundreds of miles of shoreline. Game wardens are among the most highly trained and lowest paid in law enforcement. Budget cuts are squeezing resources. The state has the lowest per capita number of game wardens in the country. Florida has about four times as many game wardens. Brazen poaching, marijuana wars and new marine protection areas present constant challenges. Applications to join the force are, not surprisingly, down. But being noticed doesn’t necessarily translate into having your issues addressed. Governor Jerry Brown crafted a proposed 2012-13 budget that cuts the number of wardens by 20%, at a savings of $5 million, if his tax increase measure is not approved in November 2012. The Department of Fish and Wildlife sits on the 19-member steering committee that guides the Natural Resources Agency as it leads the planning process for the Bay-Delta Conservation Plan. The plan is an attempt to solve an old dilemma: how to ensure water for 25 million Californians and their agricultural/commercial/urban needs while protecting the already endangered Sacramento-San Joaquin Delta ecosystem. It is a joint product of state and federal government agencies and will produce a strategy meant to be implemented in a 50-year time frame. The delta is the largest estuary on the west coast of the Americas. The plan is controversial because of its contradictory goals of pumping more water under, around or through the delta to destinations south while trying to revive the delta’s dying ecosystem. Many believe it is a zero-sum game with clear winners and losers and the choice is between either restoring the delta or shipping more water south to its detriment. Governor Jerry Brown, in his January 2012 State of the State message endorsed the general idea of the plan, which seemed to indicate his support for a peripheral canal to export the water, though for political reasons, his endorsement was vague. The peripheral canal is a third rail in California politics, like raising taxes. Feared by voters and deadly to the touch for politicians. The canal proposal has a number of variations but basically aims to divert water from the Sacramento River around the delta to pumps on the delta’s southern edge to facilitate transport south where fresh water is in short supply. It first made the ballot in 1982 and was soundly defeated despite the support of Governor Brown, during his first stint in the office. Fish and Wildlife plays a key role in the environmental compliance and conservation planning process, so skeptical environmentalists are watching it closely to see if restoration of the delta will truly be a part of the grand scheme. In the meantime, the department finds itself embroiled in a number of delta issues. In September 2011, a federal judge approved settlement of a lawsuit by farming interests led by the Coalition for a Sustainable Delta against Fish and Game that will probably lead to a major expansion of striped bass fishing. The coalition alleged that the non-native striped bass was preyed on native fish and was responsible for declines in salmon and delta smelt. Environmentalists said this was a canard pushed by big water interests and was meant to divert attention from the real causes of salmon and smelt declines. In June 2011, California game wardens got a boost from the state Supreme Court when it ruled that the Fish and Game employees could stop and question a person they reasonably suspected had been hunting or fishing even if they did not have reasonable suspicion to believe the person had committed a crime. The high court ruled in People v. Maikhio that this “limited” privacy intrusion during an administrative search was outbalanced by the state’s “special needs” beyond criminal law enforcement, in this case preserving wildlife. A warden had used a spotting telescope to watch the suspect, Bouhn Maikhio, catch either lobster or fish from a pier and put them in a black bag. When the warden pulled the suspect’s vehicle over, Maikhio denied having any fish or lobster in the car. The warden found a lobster in the bag and issued Maikhio a citation. In ensuing litigation, Maikhio’s lawyer sought to suppress the lobster evidence as having been part of an unconstitutional search and seizure. Maikhio won at trial, lost in the appellate division of the Superior Court, won in the Court of Appeal and then lost in the high court. San Diego County Deputy Public Defender Matthew Braner, who argued before the Supreme Court, said by the court’s logic, police might be empowered to stop and search motorists who had just left a bar in order to prevent drunk driving. San Diego Deputy City Attorney Jonathan Lapin, who also argued the case, said the U.S. Supreme Court had already addressed that issue and said such detentions outside a bar would be unconstitutional. The support seemed reasonable when first offered in 2009. The Department of Fish and Game operated a CalTIP program that helped catch poachers, a subject near and dear to the Humane Society, which donated $5,000 for food and care of five rescued dogs trained to assist game wardens. That didn’t sit well with some in the hunting community, long suspicious of the animal welfare organization. And they were none too pleased when Fish and Game, wanting to offer a reward for the capture of whoever illegally killed a mountain lion in the Santa Monica Mountains, gladly accepted reward money from the Humane Society in September 2011. That $2,500 donation, to hear some in the hunting community tell it, was just an “insidious” way for an organization opposed to hunting to infiltrate a key hunting regulatory agency. “Imagine the ‘Got Meat’ commercials hiring a vegan for their spokesman; or the fur industry asking for the endorsement of PETA,” complained Bill Karr, a writer for Western Outdoor News. Jordan Traverso, a spokesman for the Fish and Game, said don’t believe it and that no one from the Humane Society was taking classes or teaching at the department’s warden academy. Fearing did confirm one allegation made by her hunting critics. She had joined the CAL-Tip board of directors. Hunting mountain lions for sport has been illegal in California since 1990. But according to a whistle-blower lawsuit in 2011, the practice has not been eradicated. A former hunting guide at Tejon Ranch in Southern California alleged that he was fired after objecting to the illegal killing of a mountain lion and complaining to ranch managers about poaching on the property. Bron Sanders, who filed a lawsuit in Kern County Superior Court, said managers expressed anger over the state’s ban on lion hunting and blamed the animals for killing game that trophy hunters were willing to pay up to $20,000 to shoot. The ranch’s hunting operation generates up to $2 million a year in revenue. The lawsuit was reportedly settled, but the Department of Fish and Game launched an investigation and in January 2012 Tejon Ranch announced that it had agreed to suspend its hunting operations after acknowledging that mountain lions had been killed. State law allows hunting of mountain lions, but only if they pose a danger to humans or livestock and a permit has been acquired. The animal’s carcass must be turned in within 24 hours of the kill. Violation of the law is a misdemeanor and punishable by a fine up to $10,000 or a year in county jail. The Resource Legacy Fund Foundation, which channeled private funds into the state initiative that created the protected marine areas, received its largest donation, $8.2 million to fund state hearings, from the David and Lucille Packard Foundation. The Packard Foundation has been a supporter of studies in support of the controversial Peripheral Canal that environmentalist fear will wreak havoc in the Sacramento-San Joaquin Delta if it is ever built. The California commissioners are paid a small stipend and all generally have full-time jobs that make large demands on their time. They are not chosen based on any particular expertise although some seats have traditionally been accorded to specific shareholder interests like “the hunting seat.” This vagueness has, from time to time, resulted in deep suspicions about the commission’s impartial stewardship. It was a common perception during Governor George Deukmejian’s administration in the 1980s that the board favored hunters, farmers and big business. Seth Gordon, 1951–1958. Gordon was the first director of the department after its elevation from the status of division. Trained as a lawyer, former Peace Corps worker Charlton H. (“Chuck”) Bonham was appointed Department of Fish and Game director by Governor Jerry Brown in August 2011. Bonham was raised in Atlanta and did his undergraduate work at the University of Georgia before joining the Peace Corp in 1991 where he was a small business development agent in Senegal, West Africa until 1993. Upon returning to the states, he became an instructor and trip leader in the Smoky Mountains for the North Carolina-based Nantahala Outdoor Center from 1994 to 1997 before going back to school. Bonham received an Environmental and Natural Resources Law Certificate and J.D from the Lewis and Clark Law School, in Portland, Oregon, where he specialized in conservation and natural resources law. Bonham was admitted to the California State Bar in 2000, the same year he joined Trout Unlimited, the nation’s largest coldwater fisheries conservation organization. Trout Unlimited has 130,000 members nationwide and 10,000 in California. It is concerned with protecting, conserving and restoring native salmon, steelhead, trout and their watersheds. He held multiple positions with the organization and was its California director and senior attorney at the time of his Fish and Game appointment in 2010. As director, he was responsible for developing and implementing its California Water Project, Sportsmen’s Conservation Project and restoration and watershed projects in northern and southern California. Governor Arnold Schwarzenegger appointed Bonham to the Sacramento-San Joaquin Delta Conservancy in 2010. Bonham is married and he and his wife, Eve, have one child.